In major metropolitan areas and smaller cities alike, governments need to support the adoption of ‘smart’ technologies that enhance the livability, workability, and sustainability of their towns. SDN and NFV offers the agility and flexability by reducing hardware, power, and space requirements, and offer cities of all sizes the agility and scalability to tackle the needs and trends of the future. 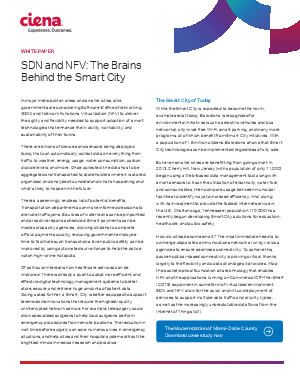 In this whitepaper, you will see the smart city models and the keys to obtaining a smart city with SDN and NFV.